Electric bicycles are not expensive as cars, but nevertheless high quality electric bicycles still cost a considerable amount of money. So I imagine that you would want to protect your electric bicycle as much as you possibly can. But you can protect your e-bike efficiently and maximize your e-bike security without losing your mind and without carrying half of you e-bike with you to everywhere you go. 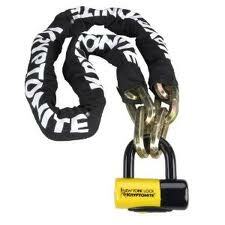 There are other safety techniques beside using a lock (and you should always lock your e-bike) that can help you to increase the protection against thefts. If you're electric bike has been stolen despite your best effort to protect it, don't lose hope. Log on to: recover your stolen electric bike for a list of things you can do. The battery is the most expensive part in the electric bicycle, so is it smart to leave it unguarded when you are away from the bike? 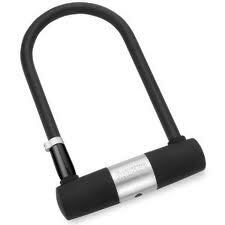 All electric bicycles should have some means of locking the battery to it's housing by turning an "ignition key" lock so it is suppose to be quite difficult to remove it quickly. Therefore, many people feel it is safe enough to leave their batteries attached to the bike and not take it with them. Demand for e-bikes is low in most cities (Although this is starting to change quickly...), so e-bikes are currently don't have high appeals for thieves because it is not highly exchangeable. Also, batteries are usually not interchangeable between different e-bikes and each battery requires a specialized charger too. Hence, the appeal for stealing the battery decline even more. For added security, you can secure that battery by a cable in addition to the built in lock.